It’s October, which means Halloween season is upon us! Of course since I love to sneak in learning whenever I can, I have my preschoolers sort their candy. 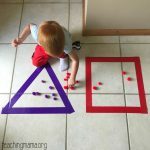 It’s another way to get in some math practice. And it’s actually fun! 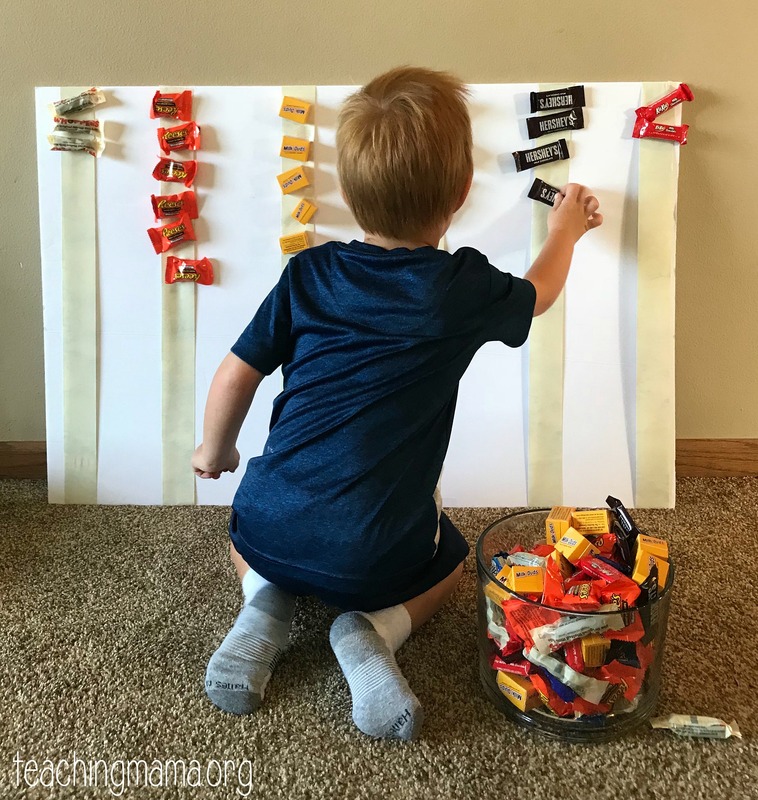 Today I’m sharing a fun halloween candy sort activity. 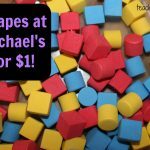 duct tape – need to be this tape or something similar because it needs to be super sticky! 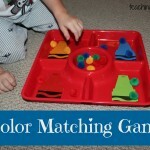 Before you set things up, you’ll need to decide how many colors you want your little one to sort. 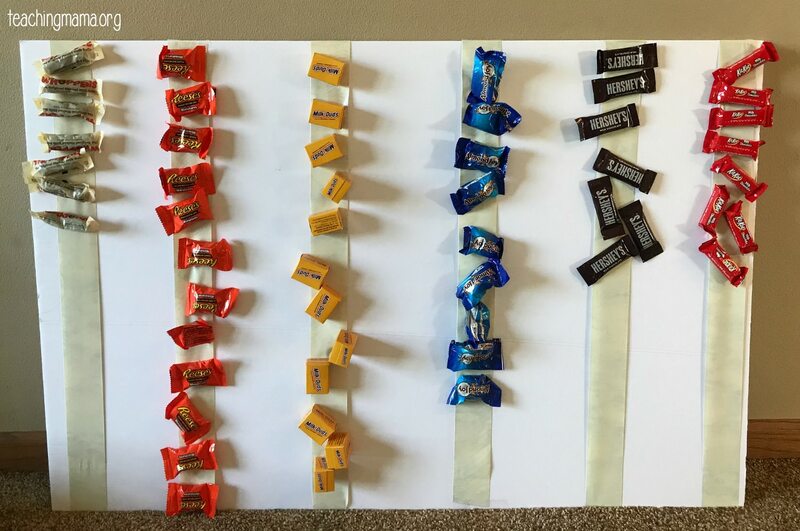 We chose 6 and I had 6 different types of candy. Cut strips of duct tape for the number of colors you have. Make sure they are cut to be a little longer than the poster board. 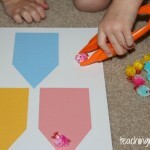 Lay the tape on the poster board with the sticky side facing out. Place a piece of Scotch tape on both ends to keep it in place on the board. 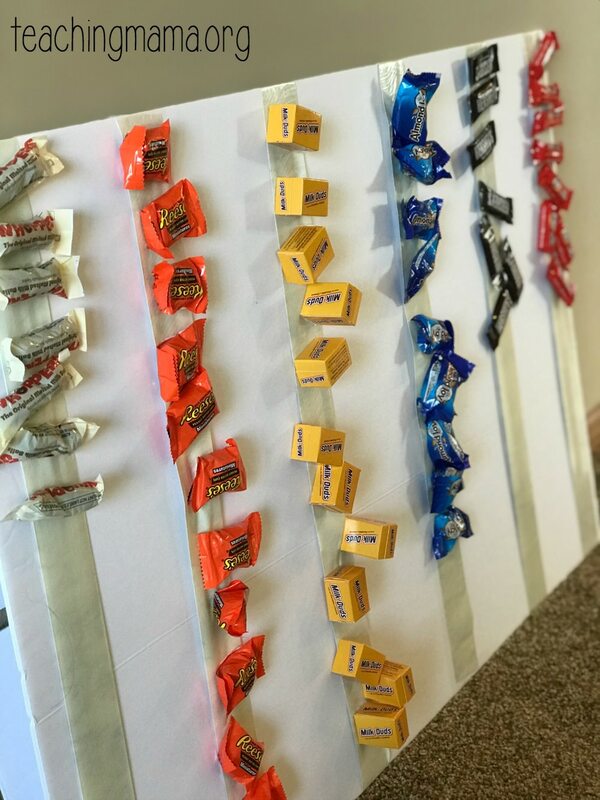 Set the candy in a bowl and place it next to the board. 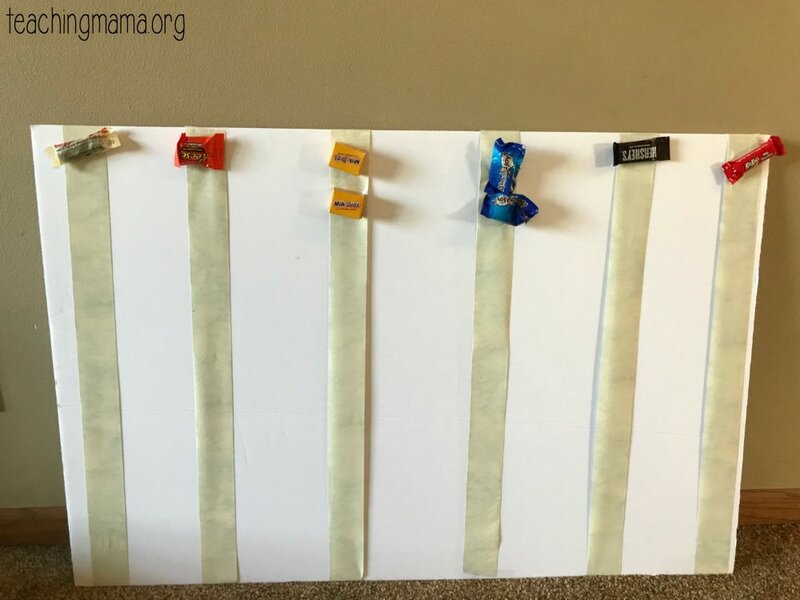 Add one candy to the top of each piece of duct tape so your child will know how to sort. 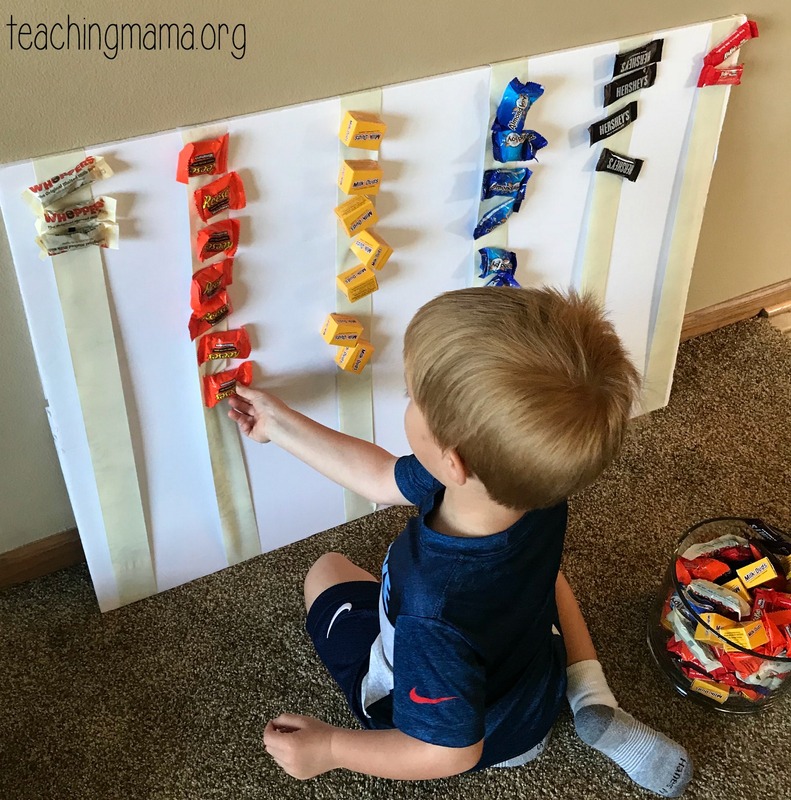 Ask your child to sort the candy by color and stick them onto the strips of tape. Duct tape is so sticky so it should stick with no problems. 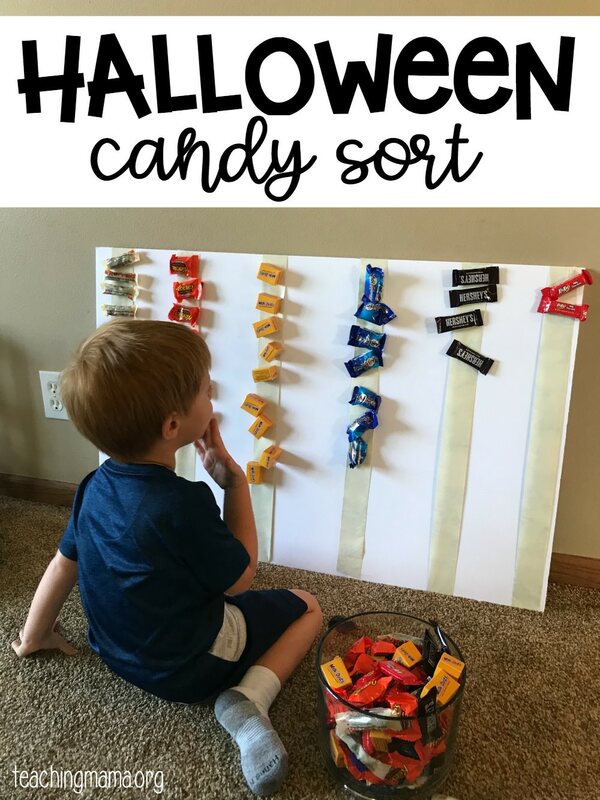 It’s such a fun way to practice sorting! When you are finished, you can count how many pieces you had for each color. 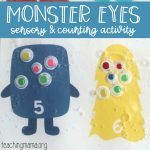 If you’re a teacher, you could also use a white board for this activity and make it a whole class activity. I hope you’ll give this idea a try! 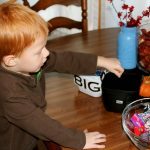 It’s a fun way to practice sorting and I think your child will love it!